Nothing gives me greater pleasure on my travels than discovering a great record store. Recently I was in Chicago and made a pilgrimage to Dusty Groove. My fantasy is to one day own a combination of a record store and a stereo store. Dusty Groove is very close to the aesthetic that I am looking for in my dream store. 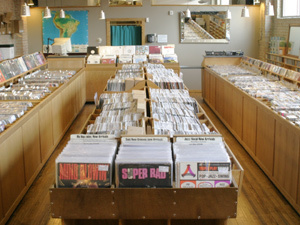 It is well-lit, has contemporary fixtures, easy to browse record bins, a focus on jazz, funk and hip hop. The only disappointment was that it did not have great stereo. Several years ago I was in New York on a family vacation and my son and I went into a record store and their was an amazing album playing. I asked the clerk what it was and it was Harlem City Drive. The CD was like 20 bucks and I balked and did not buy it. I have been looking for it ever since (buying on Amazon is not much of a sport). Sure enough Dusty Groove had it on CD and LP (and they had multiple copies of both). I picked up the LP and it is wonderful – I will review it separately. 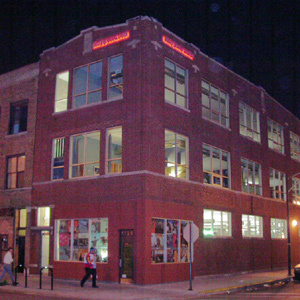 A great record store needs to have a distinct personality and a point of view – Dusty Groove has both. My sense is that their bread and butter is mail order, but this is a great STORE. I have been looking for Bernard Wright’s Nard on LP for years and so I asked the clerk – he looked in the computer and said it was not on the floor, but was upstairs and he would gladly retrieve it for me. In a flash he was back and allowed me to audition it – unfortunately it was in less than mint condition and a bit spendy and so I declined. The clerk was polite and did not guilt trip me. 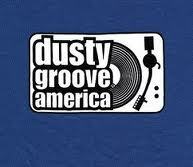 I can’t wait until my next trip back to Chicago to spend a couple of hours at Dusty Groove.